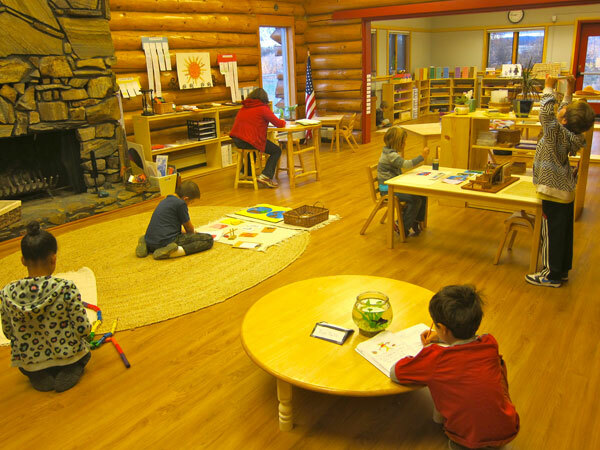 Spruce Tree Montessori School was founded on March 8, 2012 by Sabrina Binkley, an inspired parent, whose son attended Fairbanks Montessori School in Fairbanks, Alaska for three years (preschool and kindergarten, age 3 – 6). 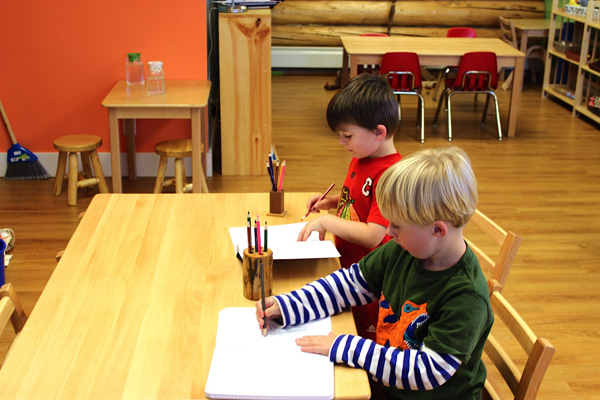 During its inaugural year, Spruce Tree Montessori School welcomed seven students, in grades first and second. 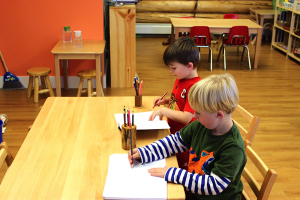 The following summer, Spruce Tree added an early childhood program for children ages 2 1/2 – 6 and created an authentic Montessori environment for preschool / kindergarten children. During the following years, community interest and demand, along with a dedicated attention to the ideals of Montessori education allowed the school to grow to 75 students by its fifth year, fall 2016, at which time the school relocated to downtown Fairbanks, now housed in the repurposed historic Fairbanks train depot after a significant renovation. Our innovative calendar offers the best opportunity for supportive, continuous learning for children ages 2 1/2 to 12, preK – 6th grade. Spruce Tree currently employs six Montessori-certified educators with credentials from MACTE-accredited, AMS-approved teacher training sites, an Educational Counselor with a Master’s in Education & Community Counseling, a PE teacher, a Head of School with a BS in Petroleum Engineering and her credential in Montessori School Administration, a Spanish teacher from Guatamala, a chef, an after-school program lead and an administrative manager. The teachers manage all classroom activities and curriculum and the Head of School is responsible for administration and serves as the organization’s chief executive officer. The school is primarily supported by tuition. A couple of small fundraising events are planned each year, along with one major event in February in an effort to raise community awareness and funds for specific school materials and scholarships. 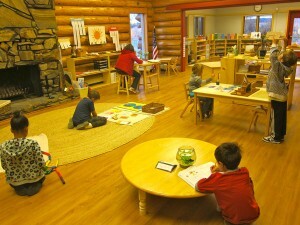 Strategically, Spruce Tree Montessori intends to further develop its reputation within the Fairbanks-North Pole community by providing a top-notch experience for children and families. In order to solidify its place in the educational community, Spruce Tree implemented a year round school calendar Fall 2014 and endeavors to open a Middle Years Program for adolescents (students ages 12 – 14) in the near term.